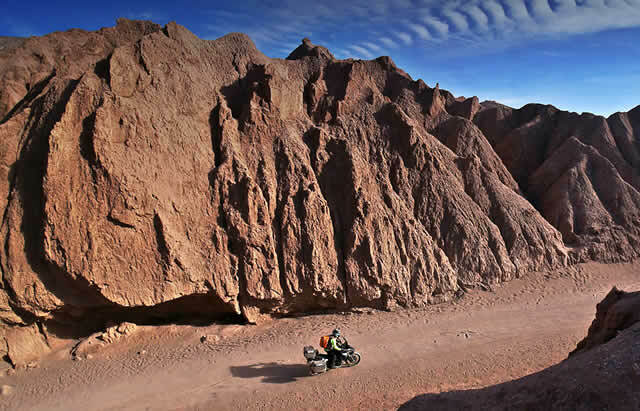 Now Anita Yusof is a household name within the circle of overlanders and adventure riders. Sepang 29 Oct – Started learning how to ride a motorcycle merely 4 and half years ago, one can be mistaken that Anita Yusof is a veteran in adventure riding. The Johorian can be easily mistaken as normal Malaysian lady in their 40s. What more with her real occupation as a lecturer in an institution in Ipoh. 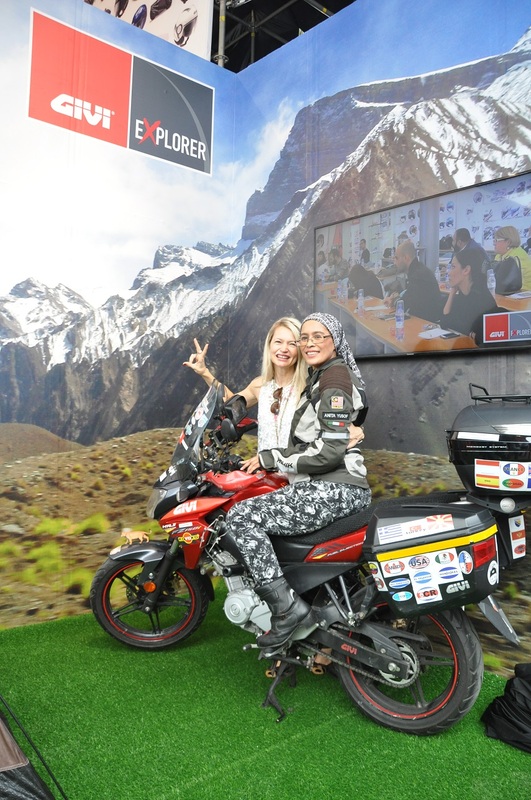 Now Anita Yusof is a household name within the circle of overlanders and adventure riders. She has travelled to more than 89 countries and still counting. She is also believed to be the first Muslim woman to do solo rides around the world. 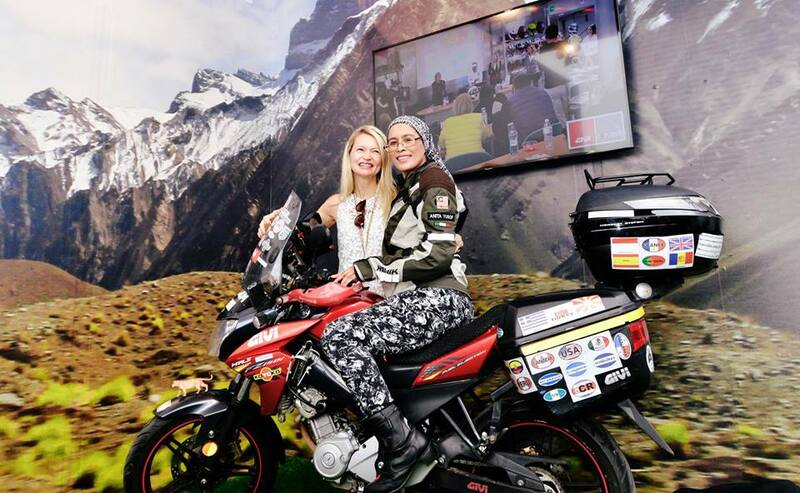 Fresh from her longest trip called ‘Global Dream Ride 2016’(GDR), Anita Yusof is now back in Malaysia. The GDR trip was the most challenging for Anita who has made shorter distance adventures. Amongst others are Central Asia ‘Stans’ Solo Tour, Trans Borneo Solo Ride, Yunnan China Adv Ride, 5 Nations Ride & Nepal Solo Ride. “Travelling taught me lots about humans and lives, happiness and misery, love, hate, adapting, understanding, tolerance, you name it. I love traveling because travelling changed me”, said Anita. “Every time I came back, I came back a different and much better person”, she continues. 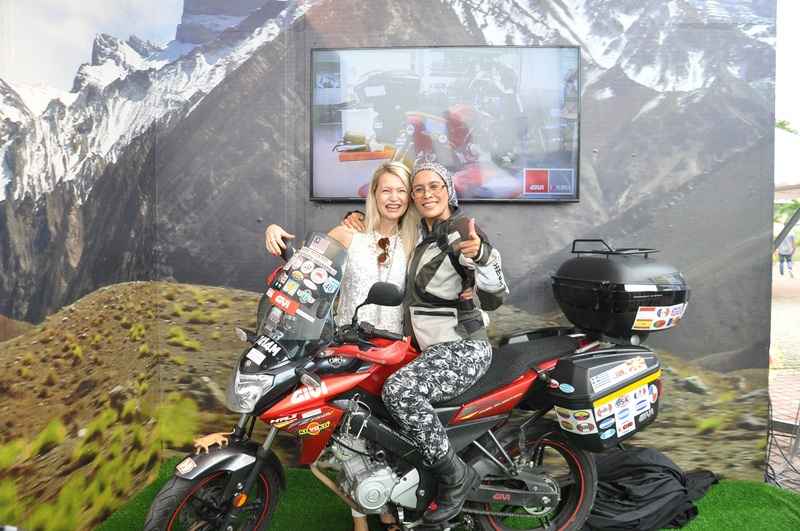 On her appointment as GIVI Ambassador, Anita said “GIVI products has helped me greatly in all of my journeys. I relied so much on the toughness of the top and sidecases to protect my equipment and it did remarkable job. I am truly honoured to be chosen as an ambassador as I believe that bikers need quality and confidence in their rides and GIVI provides more than that”. 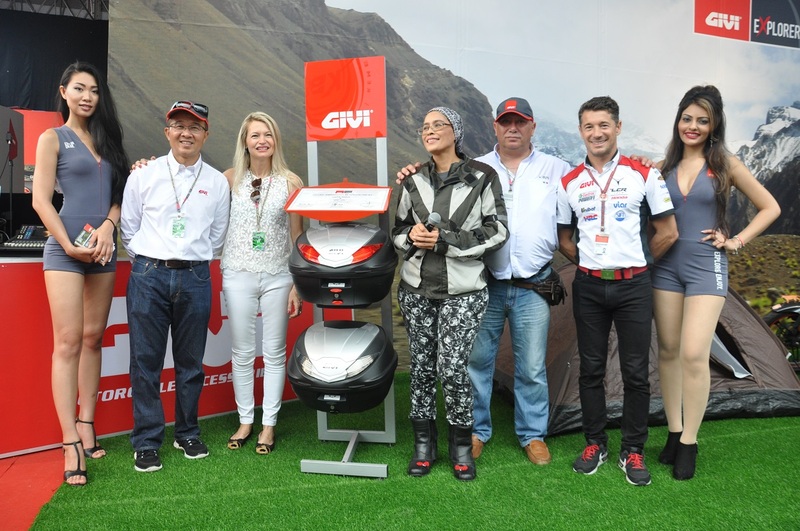 As one of the best known brands in motorcycle accessories, GIVI has supported tremendously in majority of Anita’s solo rides. 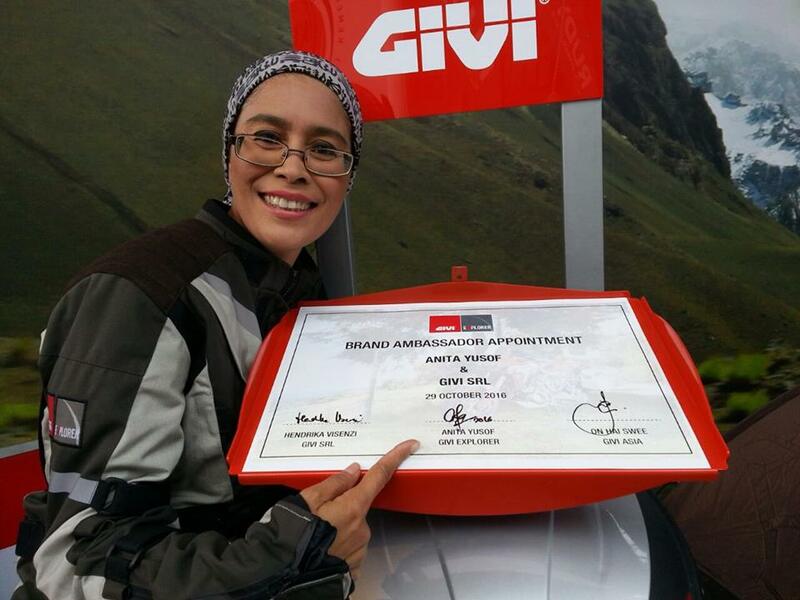 Overseas Operational Director of GIVI, Joseph A Perucca remarks, “Anita Yusof best embodies the value and brand personality of GIVI. She has direct experience in using GIVI products and bringing valuable testimonials and feedbacks to our company. Selecting her as GIVI Brand Ambassador is only natural progression as her life experience is embedded in our philosophy and company etho.”With high quality products that the brand has always been associated with, GIVI continues to innovate and research the needs of motorcyclists around the world. EXPLORE.ENJOY. tagline which the company adopted in 2015 fits perfectly in the biking culture. 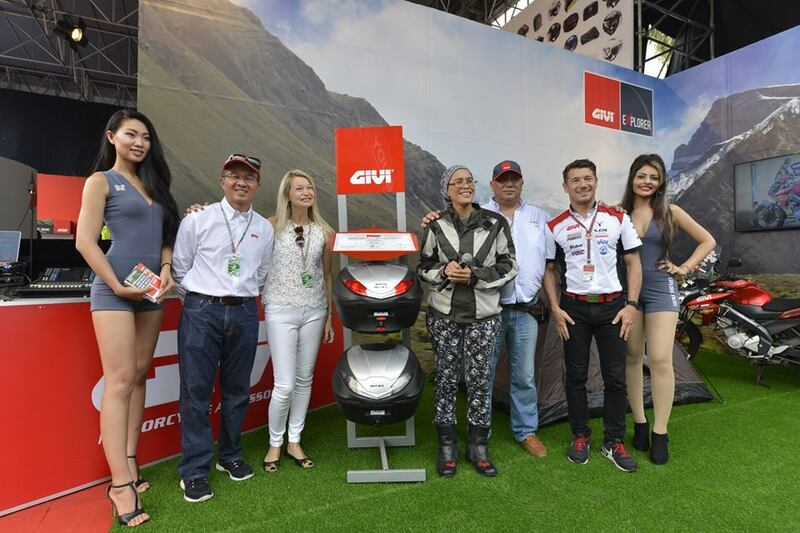 The signing ceremony of GIVI Ambassador engagement takes place at the Sepang International Circuit in conjunction with Malaysian MotoGP 2016 was officiated by Miss Hendrika Visenzi, Vice President Sales & Marketing Director and witnessed by Mr Lucio Cecchinello (Team Principal of GIVI LCR MotoGP Team), Mr Joseph A Perucca (Overseas Operational Director of GIVI) and Mr On Hai Swee (Managing Director of Givi Asia Sdn Bhd).